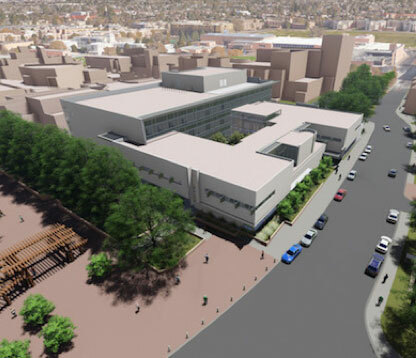 UNM’s new Physics and Astronomy and Interdisciplinary Science building (PAÍS) is expected to improve the way students and faculty conduct research and serve as a hub for cross-discipline collaboration on campus when it opens next fall. Interdisciplinary science has been on UNM’s agenda for some time, and has a new spot for the Physics and Astronomy department. So officials decided to pair the two needs together. “Physics is very interdisciplinary already and when people are in close proximity, good things happen,” Rudolph said. The $66 million dollar building was designed to support and promote interdisciplinary collaboration and instruction. Though primarily identified as a building for research, PAÍS will contain five classrooms, including two large classrooms, two laboratory classrooms, and one large colloquium space. 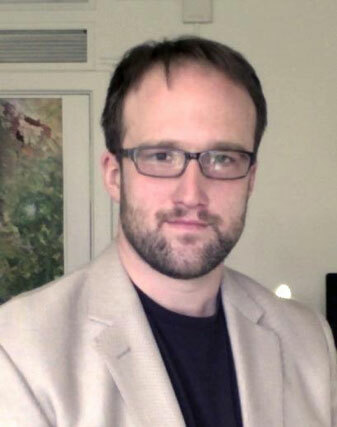 Chris Lippitt, an associate professor in the department of Geography and Environmental Studies who serves as the special assistant to the associate dean for research for interdisciplinary science, said he is looking forward to the completion of the project, which started in March of 2018. Lippitt said his role in the development of PAÍS includes “working with the architects, the engineers, and with the physics group to arrange how the building is going to work and represent the IS side of that equation,” Lippitt said. In addition to helping implement the overall design and function of the facility to meet the needs of the Physics and Astronomy department, Lippitt has also played a large role in creating a collaborative, research-centered space for students and faculty. “We’re really focused on trying to build a very modern facility in the sense that it forces lots of collisions and has much more open space, rather than lots of closed space, so that people meet and talk,” he said. 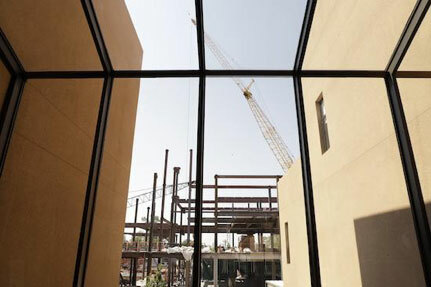 The building, which supporters say will be unlike anything seen on UNM campus before, based its collaborative approach on the concept of visibility and shared space. Both the interior and exterior architecture of PAÍS will support this notion. 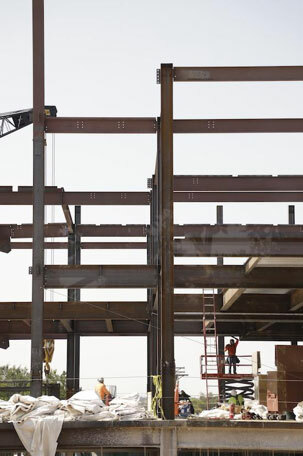 When visitors walk into the building, they will be greeted by a two-story glass living room that will contain many different kinds of seating and workspaces. The living room leads then leads visitors to the front office of physics and to a grand staircase that will take them to the interdisciplinary science offices. From this living area space, people in the building also will look out to the courtyard, which will be open to the public. Beyond this, PAÍS will have state of the art technology for research. Some of the highlights include a massive data visualization lab comprised of 12 high-definition monitors, a large bioinformatics data lab and server room for big data, and a connection to the campus-wide WiFi system. “It will be the place to get your WiFi access for sure. It’s built for how people work now. (With) really good WiFi all the time, we will be able to work on par with any other research center with really fast connectivity,” Lippitt said. PAÍS will also contain a research suite that student or faculty research groups can reserve. “It’s a large space with lots of different work spaces. Nobody is assigned anywhere and we have excellent WiFi throughout the building to allow that to happen,” Lippitt said. In the interdisciplinary science space especially, Lippitt described a very minimalist approach that will trade out secluded offices for more open environments to foster collaboration. At the same time, Lippitt said there will be private working spaces as well. 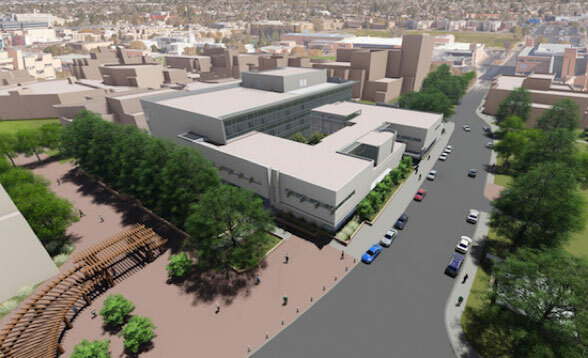 The building also is expected to provide 15 to 20 percent more space for the Physics and Astronomy Department, which is currently housed near UNM Hospital. The new facility means more room for certain types of research. The new features also are expected to increase the quality of research, Rudolph said. 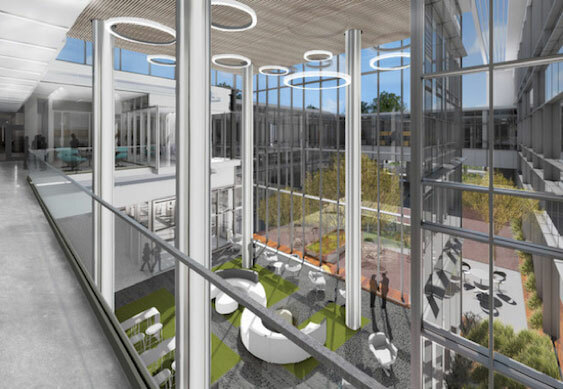 Other departments that will inhabit the building will include Chemistry, Anthropology, Biology, Earth and Planetary Sciences, and Geography and Environmental Studies. The list also includes the Center for the Advancement of Spatial Informatics Research and Education (ASPIRE), which utilizes geographic information system (GIS) mapping technology for various types of research. PAÍS will provide these departments and other researchers within UNM the kind of facility that will foster community and spark big ideas, Lippitt said. The idea is that, in this facility, professors and students will intermingle to collaborate and exchange ideas. Students are meant to be a part of PAÍS just as much as faculty researchers are. “Students, and faculty as well, often can learn a lot more from each other than by going to a class. If we are all physically working in the same space, then we can leverage that shared learning across the student body and, I would argue, the faculty body as well,” said Lippitt. The interdisciplinary approach echoes a larger collaborative trend in science. UNM recognizes this and wants to prepare the next generation of researchers to begin tackling the big problems faced by society today. “This problem-oriented research is going to form a big portion of the future of research, as opposed to discipline-oriented research. PAÍS will allow that to happen,” Lippitt said. PAÍS interior rendering provided by Van Gilbert Architects. PAÍS aerial exterior rendering provided by Van Gilbert Architects. 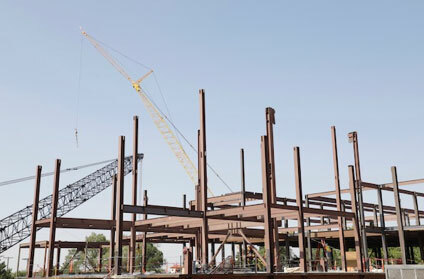 Construction continues raising and building upon the foundations of Physics & Astronomy and Interdisciplinary Science (PAÍS) as seen in July 2018. Completion of the facility is expected Fall of 2019. On-going construction of Physics & Astronomy and Interdisciplinary Science (PAÍS) as seen from the Art building taken July 2018. Completion of the facility is expected Fall of 2019. Construction workers making steady progress on the building of Physics & Astronomy and Interdisciplinary Science (PAÍS) as seen July 2018. Completion of the facility is expected Fall of 2019. Dr. Chris Lippitt, professor of geography and environmental studies and director of ASPIRE. Lippitt is also serving as special assistant to the associate dean for research for interdisciplinary science. 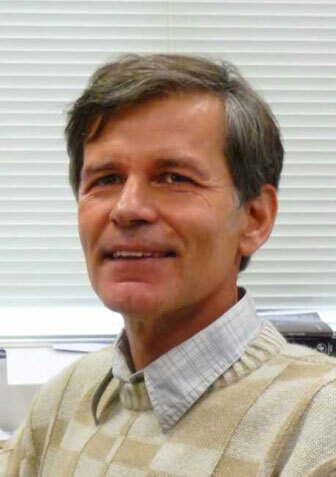 Dr. Wolfgang Rudolph, Department Chair and professor of physics and astronomy. Rudolph’s department will constitute about half the space within PAÍS.